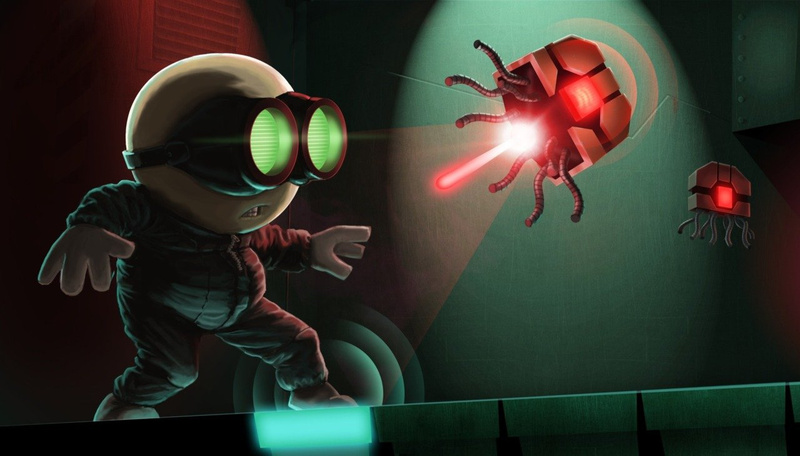 Stealth Inc 2 was announced not so long ago, and was surprising as it was confirmed to be a Wii U exclusive. It'll certainly be a welcome addition to the eShop, and an intriguing one in light of the fact that the original title never made it to Nintendo hardware. We've just recently had a look at the game in progress, though, and it's looking rather good; Curve Studio's Jonathan Biddle walked us through the opening section and talked about some of the features it'll offer. Both Biddle and the company's PR Manager Rob Clarke told us that the current target for this release is October; that's based on expected progress and estimates for getting through approval and scheduling processes, so naturally could change. 2014 has always been the target, though this this is still impressive considering how many projects Curve Studios has been getting through; Biddle did smile as he said that the team can "work quickly". We were shown a decent amount of gameplay, taking us through some "Metroidvania" aspects of the main areas then feeding into the tests prevalent in the first title — the exploration outside of the tests is designed to give players a chance to learn mechanics at their own pace. It was also explained to us that the Level Editor and sharing capabilities will potentially provide an "endless" amount of content if users jump on board, exponentially extending the life of the title beyond the core campaign. Miiverse will be utilised, too, with players able to post messages that'll appear on walls within the main game; Biddle expects, due to this game serving up a solid level of challenge, that there'll be plenty of messages of exasperation, though hopefully gamers will post hints and tips for others to see. It was stressed, meanwhile, that a twist in the storyline, which promises some dark humour, will happen earlier in the experience than in the original, where it was only seen by skilled players that defied the odds and reached the end — Curve Studios wants more players to enjoy that aspect of the title. We certainly liked what we saw of Stealth Inc 2. Keep your eyes peeled in the coming days for a full video with commentary from Jonathan Biddle as he walks us through the opening segment of the game. This would be perfect opportunity to get some more asymmetrical multiplayer on the system. After the utterly fabulous 'A Clone in the Dark' on Vita, I'm really excited for the sequel on Wii U.
Stealth Inc — great game, Curve — great studio! Awesome this is day 1 for me but October is looking crazy already as I have Smash 3Ds, Dragon Age, Evolve & Bayo 1&2 all preordered. No clue how Nintendo got this as a Wii U exclusive, but good for them. The first one is a lot of fun, and I'll definitely be picking this one up. Lol, "Inc". We all know the real name of this game. Not as odd as you would think though. Curve Studios' first game, Fluidity, was a WiiWare title, which they also ported to the 3DS in Fluidity Spin Cycle (Hydroventure in Europe I think? Something like that...). They also developed Explodemon for WiiWare. They only started releasing games for PSN in 2013, unless you count the port of Explodemon back in 2011. I really hope this games sells well, I know i will buy it day one, they are taking a large risk on this game, and I really hope it pays off. Yep, so getting it now especially with miiverse intergration !